A purple-hued, cocktail-inspired piece that will brighten up your wardrobe on a truly grand scale. 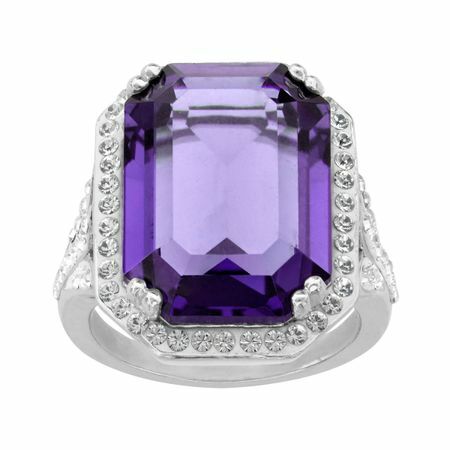 This unforgettable ring features a stunning 18x13 emerald-cut purple Swarovski crystal framed by a halo of pavé-set icy white Swarovski crystals in a luminous sterling silver setting. Ring face measures 5/8 by 3/4 inches.